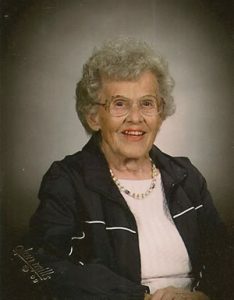 Eva M. (Noel) Putnam, 90, of Swanzey and formerly of Lake Wales, FL. died on Saturday, March 10, 2018. She passed peacefully at Cheshire Dartmouth-Hitchcock Medical Center in Keene after a brief period of declining health. She was born the daughter of the late Mary L. (Gilbert) and Leon Noel on December 20, 1927 in Winchendon, MA. She attended schools in Winchendon and Athol. On August 19, 1950 she exchanged vows with Reno Putnam in West Boylston, MA. They were married in a simple service with close family and friends in attendance. Sadly, Reno passed on July 31, 2014 after almost sixtyfour years of marriage. Eva was proud to be a stay at home mother and housewife. She did work for the former Giant Store and The Mart for several years as a store clerk and cashier in Keene. She was a charter member of the Trinity Lutheran Church in Keene and the Lake Wales Lutheran Church in FL. She enjoyed knitting, crocheting, camping and travel by motorhome. She was a former member of the Bounders of America, Good Sam Club and The Dam Yankees RV Clubs. Eva enjoyed horseshoes with her husband, where she was a lifetime member of the Keene Horseshoe Club and the Winter Haven Horse Shoe Club. She was known to give freely of her time where she sold popcorn and other items at tournaments. As time went on and she moved back to live with her daughter in NH. she became an avid NASCAR fan. She liked to make puzzles with her son in-law. Football became interesting and she loved to watch golf, especially Tiger Woods when he was on television. Mrs. Putnam is survived by her children; Philip B. Putnam and his wife Karen of Christiansburg, VA. And Eileen M. Ball and her husband Russell of Swanzey. A daughter in-law, Priscilla Putnam of Bennington, VT. She also leaves five grandchildren, four great grandchildren, cousins, nieces, nephews, extended family and friends. 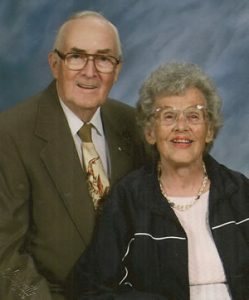 Eva is pre-deceased by her sons Dennis M. Putnam and Gene Putnam and Eva’s infant daughter Lynda all passed earlier.